http://drcrystalbrown.com/common-core-math-standard-7-ns-a-1/ buy viagra online canada with mastercard Today is Gabriel’s birthday. He would be 23 years old if he was still with us on this earth. 23! I am getting old. Just before I turned 23 years old, I moved to Danville for a six-month music therapy internship at the VA hospital. I had no intention of staying in this community, and yet now I call it home. Funny how life goes sometimes. As a 23 year-old, I was excited about finishing my degree and starting my career. I rented my first apartment without any roommates, and tried to figure out my new independence. I was excited about all that life had in store for me. Gabriel never had that chance. Days like today, I find myself with mixed emotions. I grieve the loss of my only biological child. My mind wanders with questions of what might have been. Would Gabriel have been starting a career now, if he had been born healthy? Would he be on a Navy vessel, like his dad years ago, delivering aid to Puerto Rico and the Virgin Islands? I could dream up all sorts of scenarios. Instead today, Bruce and I marked Gabriel’s birthday by going to the cemetery to visit his resting place. It was raining, and I must admit that felt entirely appropriate. It’s not that I feel immense sadness; that burden left me many years ago. It’s not that I believe Gabriel is stuck in the ground; I believe his soul has been taken up into heaven. 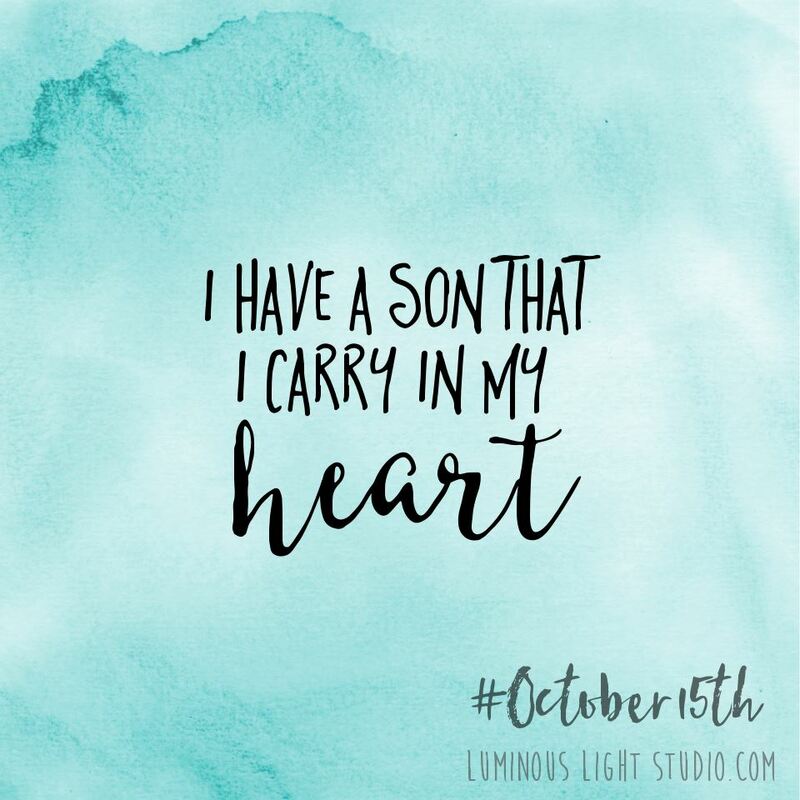 But as a mother who once carried her son for 33 weeks, I feel just a tad bit empty today. I’ll be okay. I’ve been here before. I often write about being a mom who has lost her child, but I am certainly not the only one. Not even in my own little circle of friends and family. Miscarriage and infant death is painfully common, and far too many women haven’t felt “permission” to grieve. The world says, “Get over it,” or “At least it happened early.” People may be trying to help, but the void left after a child is gone, whether it is by miscarriage, stillbirth, or really at any time, is unlike any other void. This doesn’t mean that it would be healthy to hide in a darkened room every day, but it is normal and healthy to feel a bit of melancholy on a child’s birthday, or the anniversary of the loss, or Mother’s Day. It’s okay to cry. Even 23 years later. Earlier this week, I had a conversation with a young friend whose first child died of SIDS many years ago. 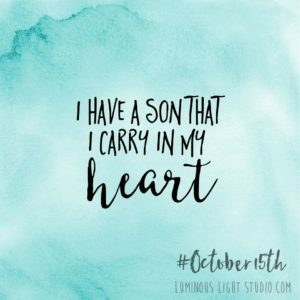 His birthday is also this month (October is Pregnancy & Infant Loss Awareness month.) Her son’s upcoming birthday is one of those milestone years, and her grief is back at the surface again. She is blessed with two other precious kids, but I know neither of those children replace her firstborn. It is our firstborn child who gives us the title “Mommy.” Entering that new phase of life is remarkable, at any age. I encouraged her to treasure the happy memories she has, even if they seem to be so few because of his short life. We need to embrace these moments of joy, whether other people do or not. As we were talking, I sensed a sadness in her voice because she doesn’t know if people understand what she has been through. In some ways that makes sense, because unless you have lost one of your own precious babies, you truly can’t know what it’s like. I don’t mean that as a criticism, just as a reality check. I can’t ask you to understand something so heart-wrenching as the loss of a child if you haven’t been there, and I wouldn’t wish it upon anyone. As I pondered what to write today, I was struck by a thought: grieving moms share a special bond. We didn’t ask for it, we didn’t want it when it landed in our laps. But as women who nurtured the very gift of another human being’s life in our womb, we share something holy. I’ll call it a Sacred Sisterhood. We can cry together because we all get it. We can share stories of ripples across our bellies or lullabies before and after birth. And no one in this Sisterhood would think we were crazy. then please accept my heartfelt hug through cyberspace and my sincere prayers for healing, dear sister! Know that true and complete healing comes from God, the One who is holding our children right now. It’s confusing when we wonder why God took our babies so early, but I trust in His wisdom. I picture Gabriel in heaven with all of the Saints praying for me and so many other people! I have literally sensed his prayers before, and today I asked him to pray for me again. My son never went to school, let alone graduated from college. He never started a new job or moved into a tiny apartment. 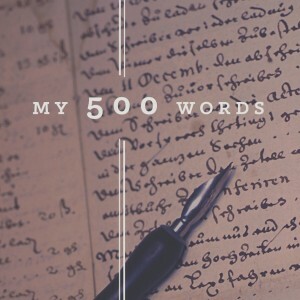 But he touched my life, and the lives of many more people, in his tiny and brief life. I believe with every breath of my being that Gabriel is whole and happy now. That comfort replaces my tears on his 23rd birthday, and everyday. 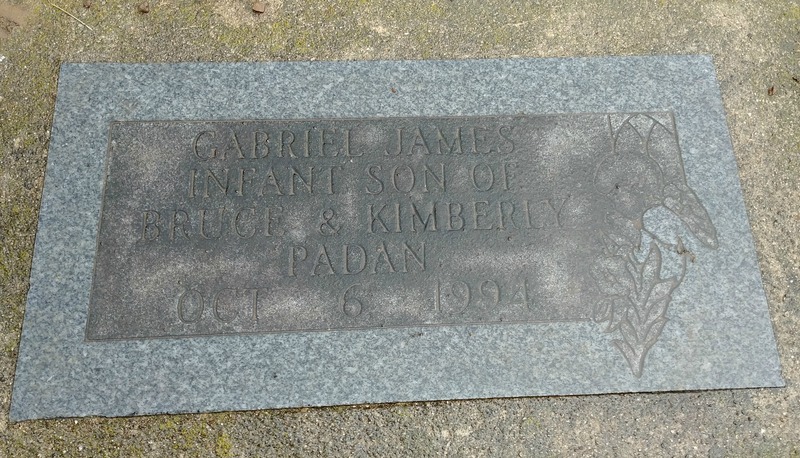 Happy birthday, Gabriel. Say “Hi” to my friends’ babies, okay? I’ll see you someday in heaven.